Proportional circle maps show data in relation to the size of the circles. There are different sizes of circles which show the variation in what is being measured. 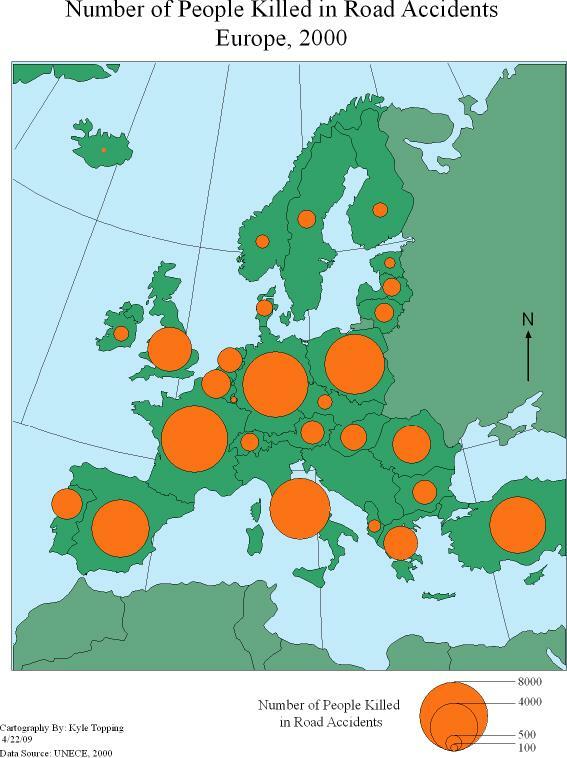 This map shows the number of people killed in Europe in 2000 caused by road accidents. The smallest circle shows 100 deaths and the largest circle shows 8000 deaths. Places like Norway and Sweeden had a very small amount of deaths in the year 2000. On the other hand, France and Germany had a very large amount of deaths during that year.